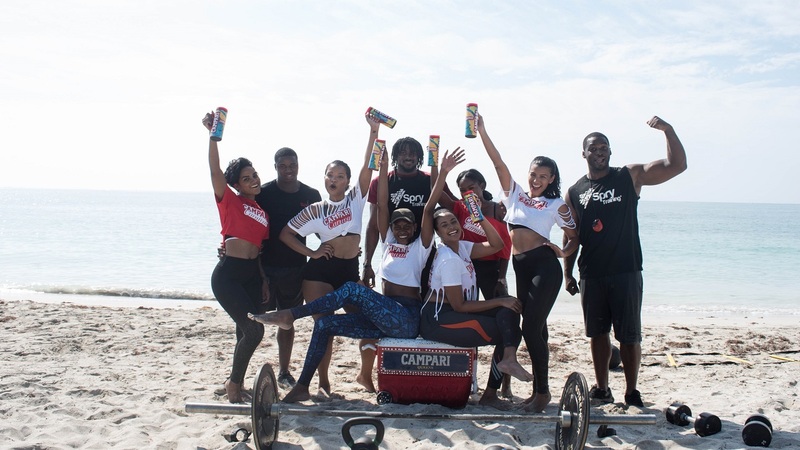 In contrast to their previous Zumba workout class at Chai Studios, the Campari Queens' most recent workout took place outdoors, at Waves Beach, and was led by CEO and Director of Training at Spry Jae Edwards. 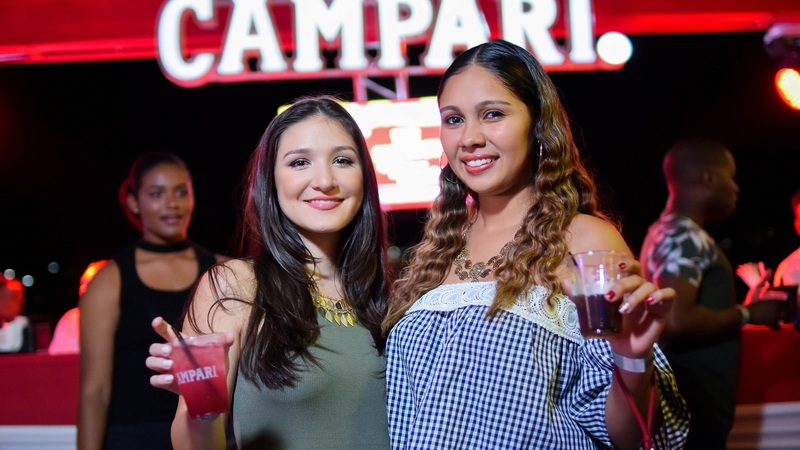 As a quick warm up, the Campari Carnival Queens were instructed to jog up and down the shore with 10-25lb weights in hand. 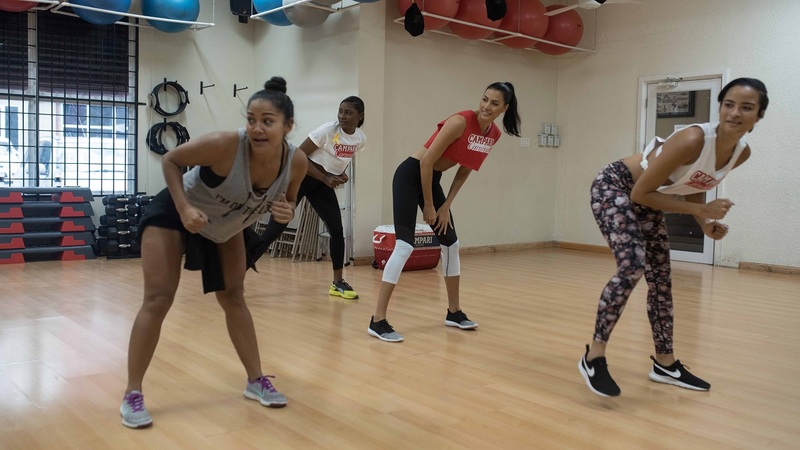 Once this was completed, the ladies went straight into the high-intensity workout planned for the day. Not for the faint-hearted, the Queens then took part in exercises such as goblet squats, lateral high knees, sumo dead lifts, kettlebell swings and medicine ball slams. 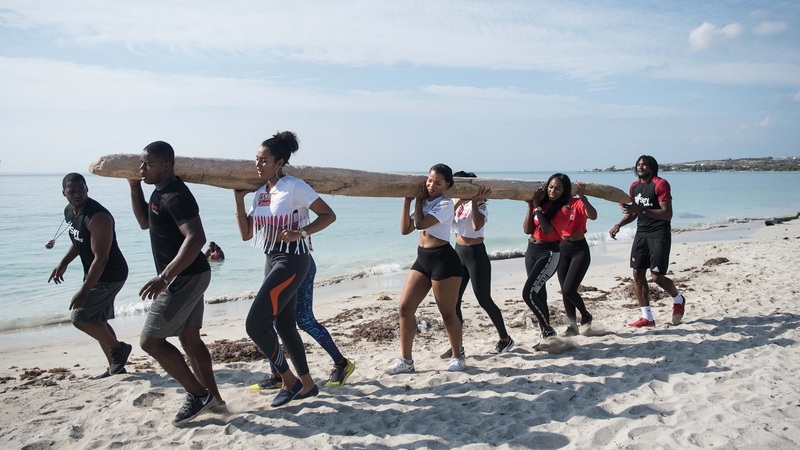 The workout culminated in a relay race which ended the day on a fun and exciting note.